Global Airlines: Strategies in Travel Insurance and Co-Branded Cards is a report and accompanying PartnerBASE™ dataset that provides a detailed overview of the involvement and partnerships of the world’s leading airline brands in three areas: stand-alone travel insurance; co-branded payment cards; and travel cover packaged with co-branded payment cards. In total, it covers 220 airline brands headquartered in 98 countries. 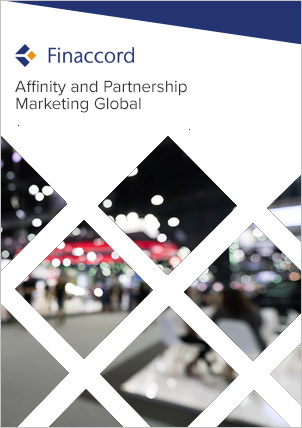 For each of stand-alone travel insurance, co-branded payment cards, and travel cover packaged with co-branded payment cards, the study analyses the providers of those products that have established the most partnerships with airlines, differentiating between card networks (e.g. American Express, MasterCard and Visa) and card issuers in the case of co-branded cards. In addition, by means of Finaccord’s system for weighting these relationships, it identifies the providers that hold the partnerships that are likely to deliver the greatest revenues by virtue of the fact that the airlines that they collaborate with are more substantial ones that serve a higher number of customers. All analyses are provided both at a global and regional level with coverage of each of the following broad regions: the Asia-Pacific region and Australia; Europe, the Middle East and Africa; and North and Latin America. to identify airline brands that currently lack partnerships for travel insurance and co-branded cards – at the time of the research, over 80 of the airline brands investigated were not selling travel insurance via their online booking systems and over 100 had not yet launched a scheme for co-branded cards. management consultancies: if your company is assisting a travel insurer or card company with its airline partner strategy, or if it is helping an airline to define the correct approach to travel insurance and payment cards, then this research will provide it with a worldwide overview of current activity in these fields, saving time and effort on researching the subject itself.